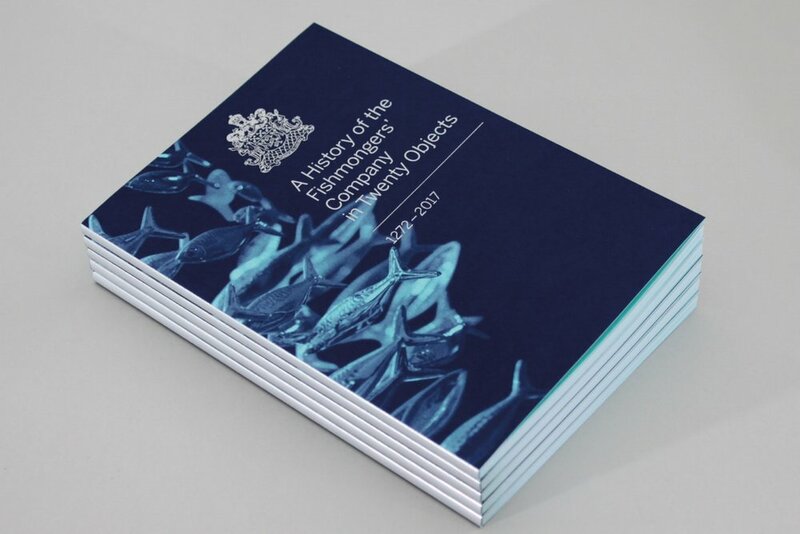 We have designed and created a publication for the Fishmongers' Company displaying their history from the year 1272 to current day in twenty objects. The Fishmongers' Company — One of the Great Twelve Livery Companies of the City of London — commissioned us to record its treasures of objects and works of art in this 48 page booklet. They state 'A Livery Company with a history and tradition as ancient and interesting as the Fishmongers' should have a record of its treasures accessible to the general public.' This informative booklet shows a summarised history of the Company which spans over seven centuries. Our design works in production at the printers, producing 1,000 copies for the Fishmongers' Livery of London showcasing their rich history in twenty objects. Images of the final publication to follow. We are soon to be moving to our studio in West London. More to follow soon.